It's been a while since I done my manicure and this time I visit this newly open Beauty Parlor for a new makeover for my nails. 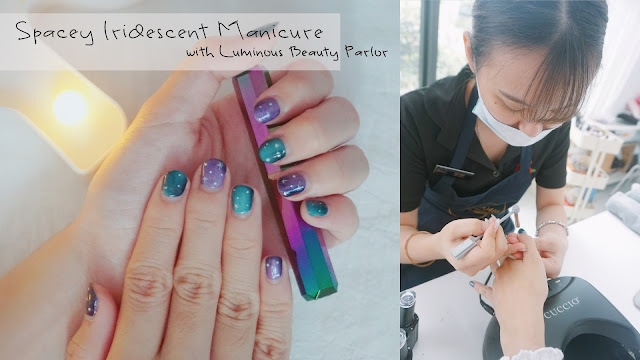 Located in the heart of Desa Park City, Luminous Beauty Parlour takes pride in aiming to be the ultimate stop for everyone who needs the following services, Nails, Facial, Spa Massage, and Embroidery. In line with our tagline “irreplaceable human touch” customers can be assured of their professional care and services catered to customer needs by the skilled and experienced therapist. 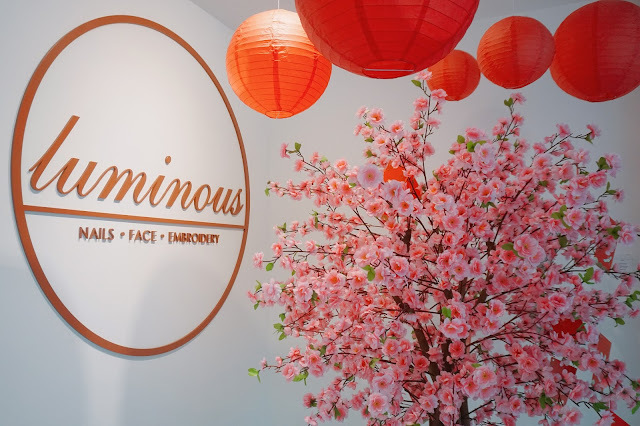 Luminous Beauty Parlour very much understands that women need to look beautiful, groomed, youthful and presentable. 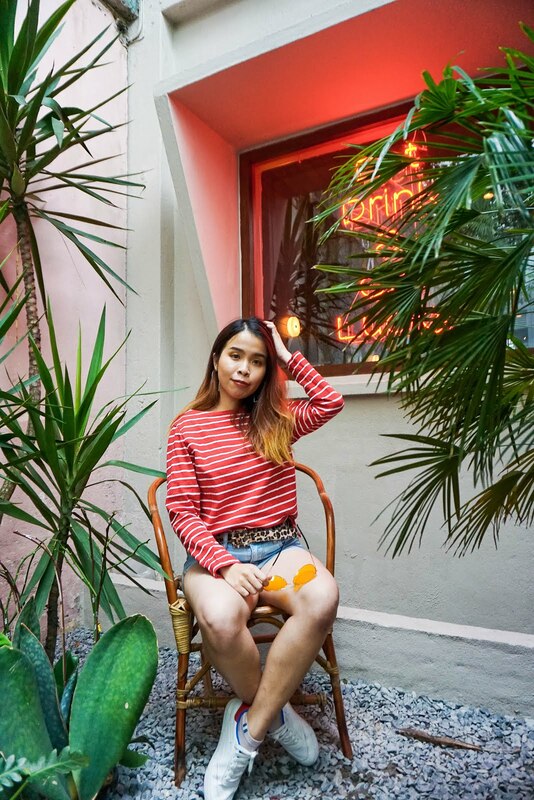 They also strongly believe in providing only the best for their customers in regards to the services they offer as well as the products they use on a customer. 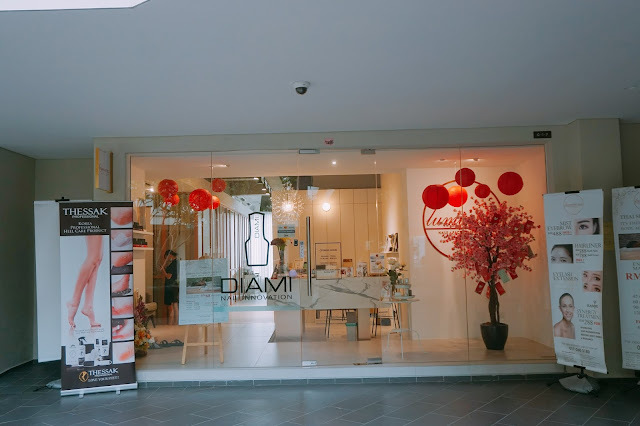 Much effort and thought were put into their luxurious and modern setting premise in order for their customers to feel comfortable, relaxed and pampered the moment they step in. 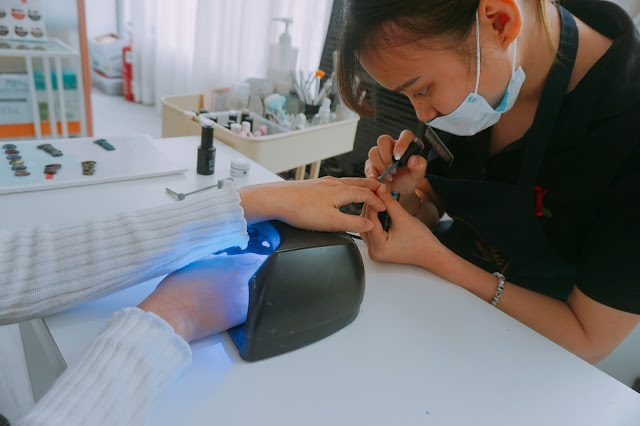 As usual, they will first help to remove your excess nails cuticles and shape your nails. 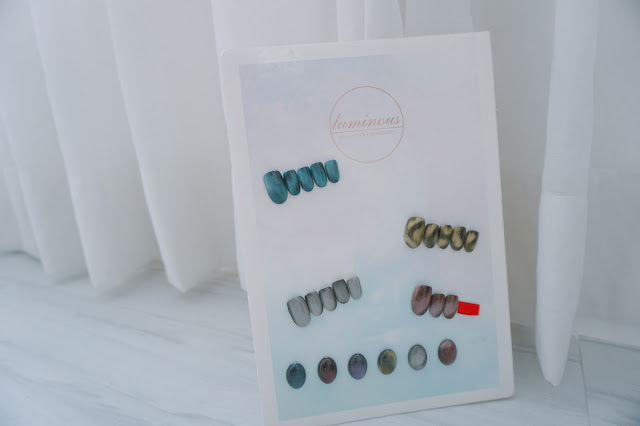 I do not have any nail design that I want in mind. 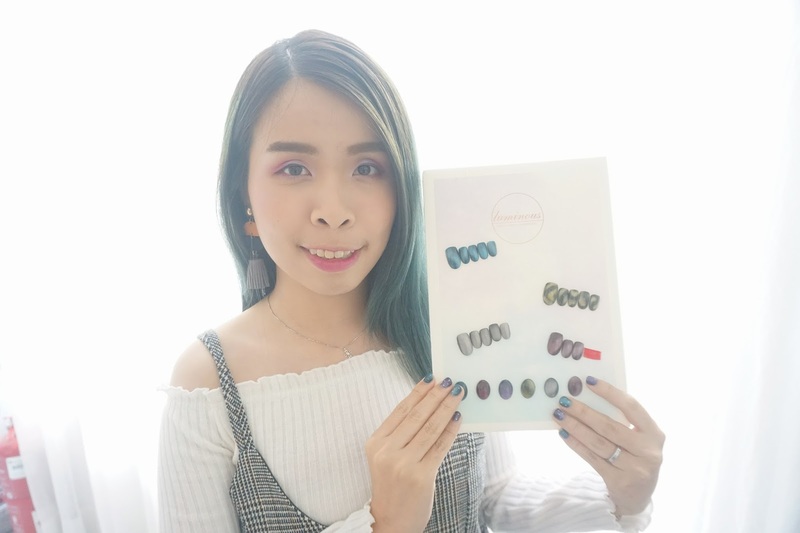 They do a shoutout to their current nail design that is the Cat Eye design that comes in six gorgeous iridescent colors. Next up, time for coloring and design! The manicurist is kind enough to introduce me a spacey color from their cat eye colors. She chooses a dark teal color and purple color. In the meantime, she will draw some stars and design after the coloring. 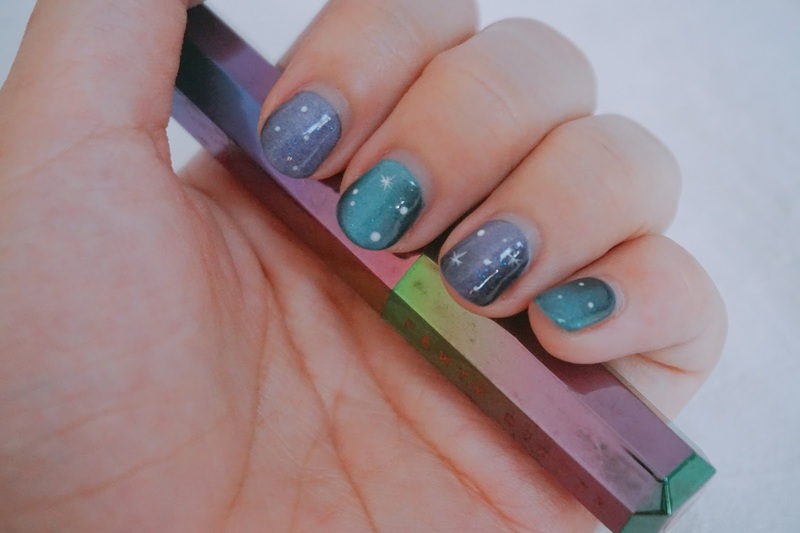 How exactly this cat eye design creates are is they using a magnet to control the color flow on our nails. 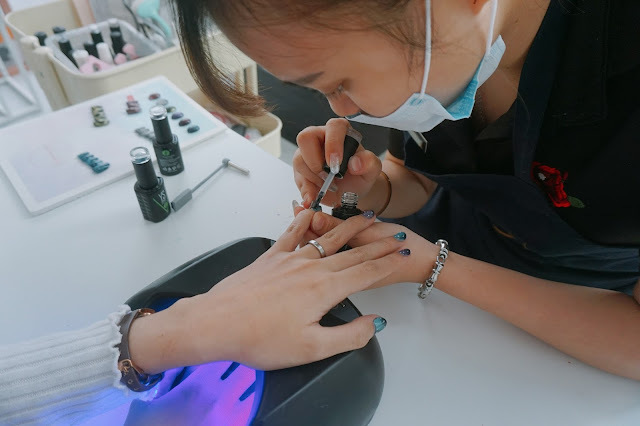 By means the nail lacquer itself contains magnetic that can attract and move accordingly with the magnet. The experience with Luminous Beauty Parlour is really comfortable and enjoyable. Its been a while since I sit down and did a manicure. The time they work on my nails shows their professionalism and effeciency too. The best thing is they have beautiful sheer curtain background for me to take beautiful photos there too. 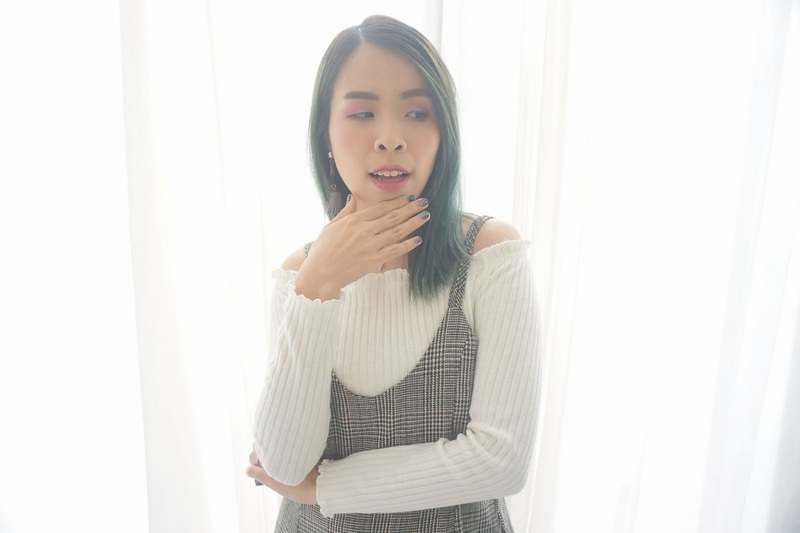 I look so chio in this photo! 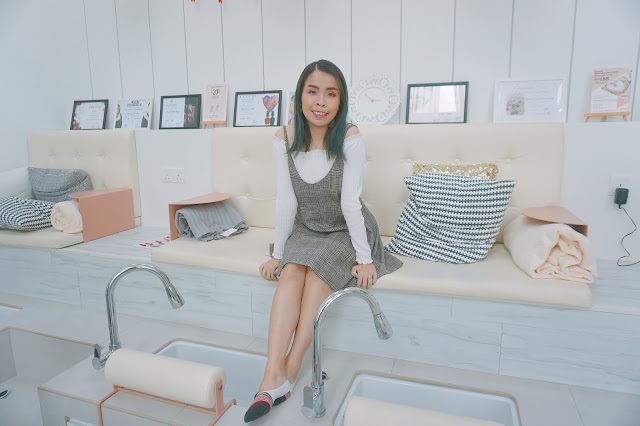 There are seats for a pedicure session too! Which is also comes in white and clean ambiance for customers. 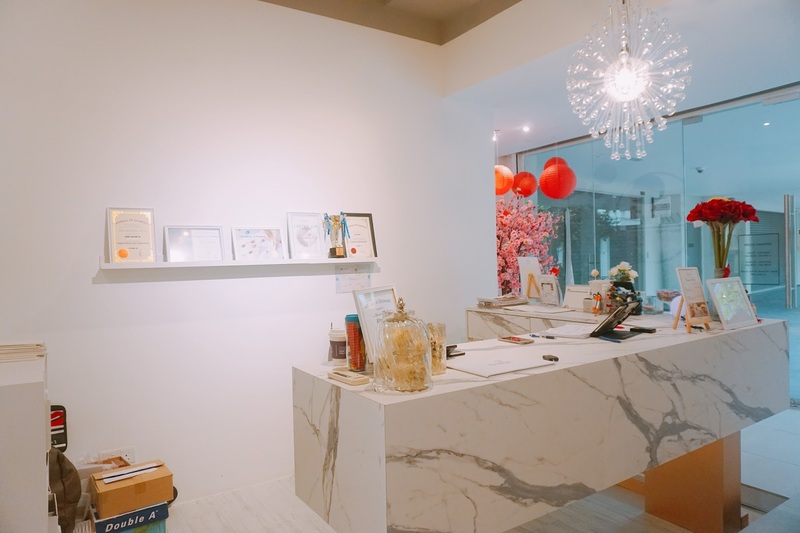 I love the overall ambiance and interior of Luminous Beauty Parlour. It was pretty challenging to locate the shop. You can park your car at Block G for easy access. Next, you can access the escalator to the first floor of the Plaza Arkadia. There's quite a few beauty center on the first floor. So you can look for Luminous Beauty Parlour there. Here's a close shoot of my nails by Luminous Beauty Parlour. 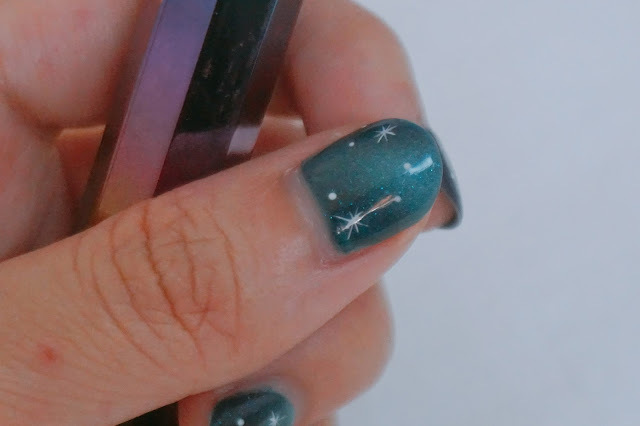 Each of my nails is draw with cute little stars and white dots as the spacey stars in the space. I also major love that it also gives the blue iridescent glow on my nails too. It was so pretty that I could watch it all day long. So long I didn't have any pedicure and manicure.. this one looks so nice.. Love the colours of ur nails.. Same here! It was a really pretty color! These are very bold colours for nails but maybe that's what's needed for the stars to stand out. It's like you have the sky in your hands. 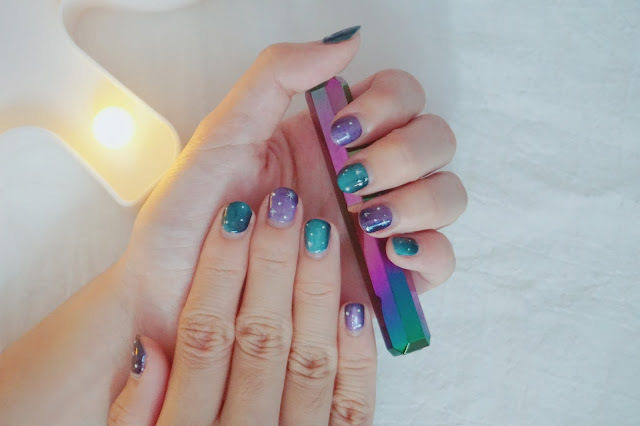 Such beautiful colors on your nails - just like the galaxy, I was half expecting to see unicorns flying on it too. OHH!!! I love the blue! That shade is so nice and it looks good on you. Wow your nails looks like you have a portion of the galaxy! It is so gorgeous! wow... look at your nails.. so cute and nice. i wanna have that too. i have been to their place once for eyebrow services but not up to expectation and they are so nice until they willing to do it again for me into better shape. I really love their services too! !